Guidance on Protecting and Extending the Life of Suspension Bridges Suspension bridges are graceful, aesthetic, and iconic structures. Due to their attractiveness and visibility, they are well-known symbols of major cities and countries in the world. They are also an essential form of transportation infrastructure built across large bodies of water. Despite being expensive to build, they are economical structures for the lengths they span. Suspension bridges are graceful, aesthetic, and iconic structures. Due to their attractiveness and visibility, they are well-known symbols of major cities and countries in the world. They are also an essential form of transportation infrastructure built across large bodies of water. Despite being expensive to build, they are economical structures for the lengths they span. They have evolved significantly from the basic concept dating back to 200 BC China through the first design for a bridge resembling a modern suspension bridge, attributed to Fausto Veranzio in 1595, to present-day span lengths close to two kilometers. Many of these bridges carry significant traffic and their upkeep is very important to maintain transportation mobility. They offer grace and functionality, yet are extremely complex to construct and maintain. Bridge owners spend a considerable amount of time and resources to ensure uninterrupted service, safety, and security for users. Inspection, evaluation, maintenance, and rehabilitation have evolved significantly. Modern materials and innovative design and construction practices have been integrated into these bridges to maintain durability and extended service life. 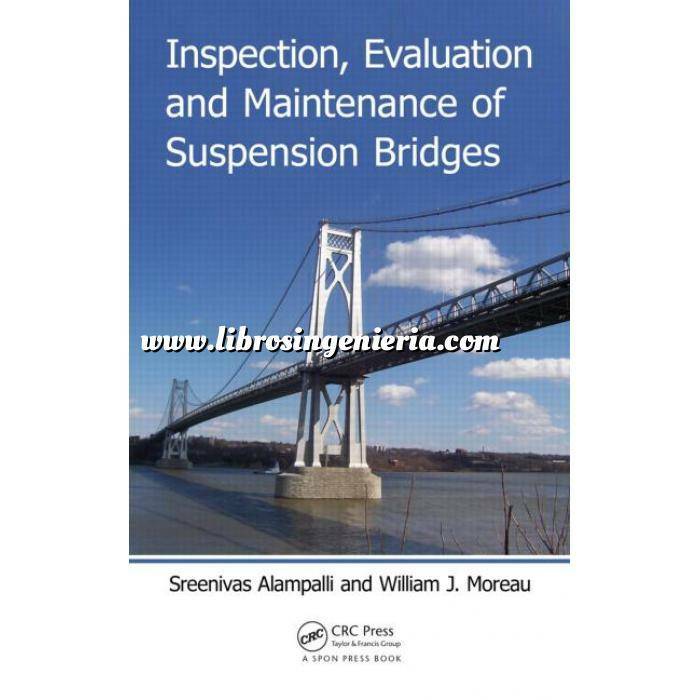 Inspection, Evaluation and Maintenance of Suspension Bridges is written by the bridge owners and practitioners who strive to cost-effectively manage these bridges. It is invaluable to everyone interested not only in suspension bridges but in the upkeep of any bridges—students, designers, maintenance personnel, contractors, and owners. This volume discusses state-of-the-art practice in suspension bridge inspection, evaluation, and rehabilitation methods used worldwide, described by the personnel directly involved with managing them. Its companion volume presents detailed case studies of specific bridges to give a comprehensive picture of how suspension bridges are maintained around the world.